#1 NYE PARTY in So. Utah & Mesquite! Envy Nightclub and Lounge | Mesquite, NV. Don’t cut your NYE celebration short! 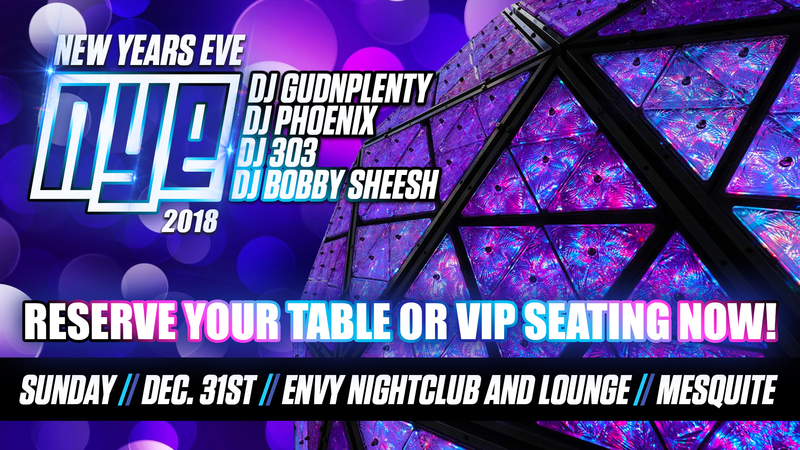 Party until the sun comes up with NO LAST CALL at ENVY Nightclub and Lounge! 4 of areas Top DJ’s spinning today’s HOTTEST music! Call (801) 231-3096 to reserve a lower table or to reserve your area in VIP and ring in the New Year in style!